It may seem odd, but there are still garage door owners who have yet to have an electric opener installed. There are a few reasons as to why that is, mainly budgetary concerns, and fear of the unfamiliar. Some homeowners may also believe that the entire installation process would take too long and that the new motor unit won't make a considerable change in their everyday lives. We're here to explain to you why that's not the case. An automatic opener has many benefits to offer your home, including an enhancement of security, and safety. Ever since 1993, every modern garage door opener is required to have special safety features installed in order to ensure that it's able to prevent the door from closing when there's a chance it will harm someone or something. Two examples of this are the photo eye sensors and the auto-reverse mechanism, which serve as visual and physical checks that alert the motor unit when they encounter an obstacle in the door's path. As long as you make sure to regularly test the proper functioning of these features, your opener will be safe to use. 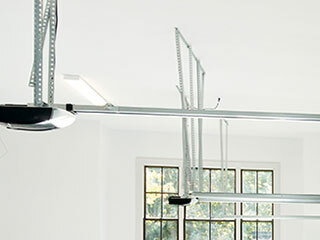 While it's true, some garage door openers can be very expensive, that doesn't mean that there aren't more affordable options out there, and not necessarily ones that compromise reliability in favor of price. The type of drive system the motor unit uses will play a major factor in determining its price, so if instead of going for a silent belt drive opener, you opt for a chain drive unit, you'll find that the prices have lowered. Of course, each type has its downsides and advantages, so it can sometimes be worth it to invest in a slightly more expensive unit if it saves you hassle and inconvenience. Think about the following scenario: you return home late at night and its pouring rain out. You don't have an opener, so you need to get out of your car, run to your garage door, open it manually and then drive your car inside. But wait, you're not out of the woods yet, you still have to go back and close it, otherwise, your house will be open and exposed. Sure you want to get inside and grab a cup of hot cocoa and cuddle by the fire, but that open door is an open invitation for burglars. If you get an automatic opener, however, a simple click of your remote control and that entire process will be carried out automatically. Also, there are now WiFi compatible models that will allow you to operate your motor unit with your smartphone or tablet. Anyone can open a manual garage door. Unless you have a physical lock on it (which can be cut with a pair of bolt cutters if it's too small), then there's nothing stopping thieves from getting inside your garage. Many modern opener models, however, offer unique home security enhancing features that will prevent anyone without the proper codes from opening the door. Garage door opener manufactures have thought of that. You can get a motor unit that comes with an integrated backup battery, which means that your door's automaton won't have to stop simply because your house lost power. There is a wide range of different motor units available today, with all sorts of useful features that are worth considering. If you're looking to have a new opener installed, our experts at Garage Door Repair Glendora, CA will be happy to help you find the perfect unit for your home.